June Horsley passed away February 5, 2019 at St. Luke’s Hospital in Boise, ID after a brief battle with cancer. She was born June 17, 1925 in Montpelier, ID to Ellen Edna Athay and Alma Ellis Straw. In her 93 years on this Earth, June’s zest for life and knowledge could be felt by all around her. She never backed down from a challenge and continued learning and improving every day. 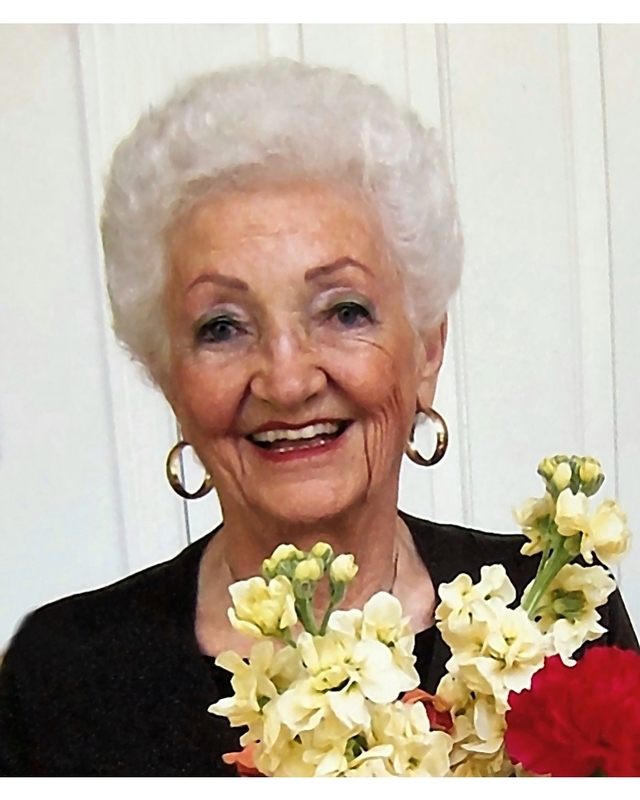 She had a wonderful talent for bringing people together and loved to host friends and family in her home. June pledged Kappa Kappa Gamma at the University of Utah and stayed active in the local chapter. While in college, she worked in the summer as a Harvey Girl at the Grand Canyon. At the University of Utah, she received a degree in Journalism and met her husband Dr. Arthur William “Bill” Horsley. They married on September 11, 1947 and raised five children in Iowa: Shelley Miller (Venice Beach, CA), Cheri Messenger (E. Helena, MT), Cyd Mechem (Mesa, AZ), Cole Horsley (Cannon Beach, OR), and Kristin Steele (Eagle, ID). June and Bill moved to Boise in 1978 when Bill became Chief of Staff at the Boise VA Hospital. Both were avid bridge players and loved camping in their motorhome and fishing in the boat with family. June loved playing bridge and played often at the Boise and Caldwell Bridge Clubs, where she achieved her life masters. She was an active member of a local book club and a frequent user of her local library, where she checked out over thousands of books. June was also a docent at the Museum of Art in Boise. She was an amazing friend who recognized the talents of others and often bragged about their achievements before her own. She loved traveling, sports, cooking, plants, art, movies, fashion and, of course, visiting her family. June was preceded in death by her husband “Bill” Horsley, sister Rae Crane, and brother Rex Straw. Besides her children, she is survived by 11 grandchildren and 14 great-grandchildren. Services for June will be held at The Church of Jesus Christ of Latter-Day Saints, 2090 N. Eagle Rd., Eagle, ID on Saturday, February 16, 11am. A viewing will be held from 4-6pm at Relyea Funeral Chapel, 318 N. Latah St. in Boise on Friday, February 15. There will also be another viewing in Eagle before the funeral service from 10-10:45am on Saturday.